The Saturday Sampler September 23rd edition is the soundtrack to your weekend plans. Whether you’re hosting a big party, enjoying an intimate evening on the town, or just chilling at home, these nine tracks (featuring artists from Belgium, England, Spain, Sweden, and the USA) will match every scenario for the first weekend of autumn. 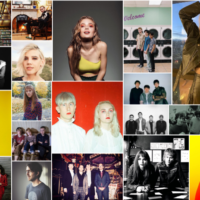 Check back tomorrow when our Weekend Showcase includes every song we have shared since Monday. Enjoy discovering some new hidden musical gems! Rookie is out now on Bandcamp and iTunes. Black Kids are: Reggie Youngblood (vocals/guitar), Ali Youngblood and Dawn Watley (keys/vocals), Owen Holmes (bass), and Kevin Snow (drums). Shaun Fleming – a.k.a. Diane Coffee (and f.k.a. Foxygen’s drummer) – is a modern psychedelic funk master who was born in the wrong decade. Music as fresh as his is actually from the ’70s, but somehow he has found a wormhole through time and space. This is the only explanation for how ingeniously groovy his solo work is, especially the new single from his upcoming 7″ Peel single. The A-side, “Poor Man Dan,” pays homage to the glam era’s finest (Queen, Elton John) with bold horns that emphasize the funktastic vibe. Yet there is more to this 7″ single’s groove than meets the eye. Diane Coffee says the song’s inspiration is darker than its surface glitz implies. In fact, it’s a song about a father who, following the death of his own child, kills other children so his daughter will have playmates. While that isn’t exactly weekend party fodder, it’s not surprising from this artist. He is more than meets the the eye, and he’s not one you should underestimate. Beneath his playful persona lies a hardworking, talented artist who continues to impress us at every turn. 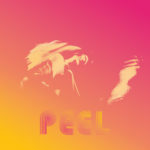 You can pre-order Peel from Polyvinyl ahead of its October 20 release date. Ghostpoet is quickly becoming an addiction for us. Back in July we shared the sultry “Trouble + Me” from the two-time Mercury Prize nominee artist’s new album, Dark Days + Canapes. Obaro Ejimiwe takes us back to the ’90s when the gritty, cosmopolitan allure of British trip-hop made us fans of Massive Attack and Tricky. The sleek arrangements on his new single, “Dopamine If I Do”, have a rainy night quality. With its strings and simple piano flourishes, this song feels cinematic in scope, as though it was written for a pivotal scene in a film. You can envision a solitary man being driven through the London streets as he spies couples inside the restaurants he passes. That’s the thing about Ghostpoet’s creations: his tones convey such vivid imagery that you cannot help but become lost in his world. 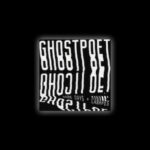 The marriage of Ghostpoet’s leisurely, half-rapped lyrics with the sophisticated instrumentation is perfection. We won’t be surprised if this album ends up on many critics’ Top Albums of 2017 lists. Dark Days + Canapes is out now via PIAS on Bandcamp, iTunes, and other streaming/purchase sources. Be prepared to fall in love with Brooklyn band Gingerlys. Their soaring indie dream pop is the soundtrack to carefree days; their “Turtledoves” single is pure sun-kissed joy. Fans of Canadian bedroom pop darlings Alvvays will take an instant liking to Gingerlys for obvious reasons. Front woman Jackie Mendoza has crystalline vocals that can range from breezy to bold, much like Alvvays’ Molly Rankin. 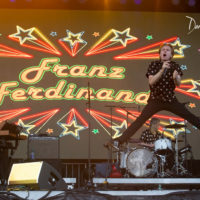 But other older influences linger around the edge of their sound, namely ’90s indie mainstays The Sundays and The Cranberries. The chemistry those bands had is present in Gingerlys, making them irresistible. are you tempted by the colors far away? The self-titled album arrives November 17 via Topshelf and Babe City Records. You can pre-order it from Bandcamp. Gingerlys are: Jackie Mendoza (vocals/keys), Colin O’Neill (lead guitar/vocals), Matthew Richards (rhythm guitar), Kevin Doxsey (bass), and Brian Alvarez (drums). 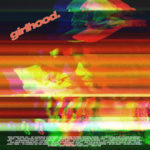 Earlier this year a sultry R&B groove blew in from London courtesy of Girlhood and we’ve been hooked ever since. We praised the hypnotic “Say It” single in March, noting that it was to be included on the band’s debut EP. Now six months later, Tessa Cavanna and Christian Pinchbeck are wowing us yet again with “Bad Decisions.” Although we still don’t have a release date for the album, this new song has more than enough charm to keep us satisfied – even if it’s about the darker side of fun. Savor this single like an aged whiskey: consume it slowly so you can appreciate its nuanced flavors. “Bad Decisions” is out now on iTunes via Memphis Industries. Their debut EP, Girlhood Vol. 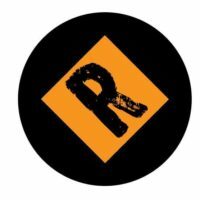 1, is expected later this year. You wouldn’t imagine a band who call themselves Pale Grey would have such a colorful sound. 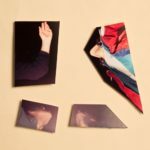 But that’s exactly what the Belgian indie synth-pop outfit have been making since their 2011 debut album, Put Some Colors. This is where they perfected their penchant for brilliant hooks and song titles taken from single colors. While they have moved on from Crayola titles with their newest single, “Blizzard” finds them staying true to their roots with gorgeous soundscapes as vivid as any rainbow. You can still detect echoes of Alt-J in their synth-driven art pop, yet it is the cinematic layers that make “Blizzard” so lush. 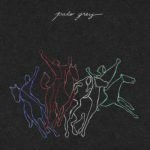 At times you wonder if this is a collaborative effort with Destroyer due to the similarities (both in vocals and instrumentation) between Pale Grey and the Dan Bejar project. The song begins simply, with minimal production. But each passing second reveals deeper facets to the arrangements and layers. Hypnotic synths draw you in while the percussion keeps you focused on the vocal crescendo. The intensity continues in the last minute as the backing vocals enhance the chorus with a dizzying effect. “All alone it makes me lose my mind,” they sing, as if they realize that listeners feel the same way. You will lose your mind over this gem of a tune. Their Ghosts EP is out now and available on Bandcamp while the Waves album is coming soon. 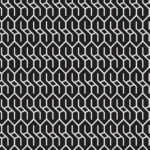 Pale Grey are Gilles, Maxime, Janjannes, and Simon. It’s Friday, so a bit malaise is likely settling into your mind and body. Maybe that’s how you like to spend your Fridays. But if you’re the type who prefers to shake the cobwebs and get a boost, then Los Angeles-based quartet Sure Sure has just the tonic. Set aside the Red Bull and just spin “Hands Up Head Down”. This isn’t an EDM track – it’s far better. The song is funk, pop, rock, and indietronica rolled into one groovy, infectious earworm. The rolling beats, the clever infusion of the bass, and the stammering percussion are awesomely executed. Some uncontrollable head nodding and even some sultry dancing are in order. Despite the funky vibe, the band deliver a creepy story. Set in an underground club, the protagonist is either getting arrested or about to experience something for the first time and it likely won’t be pleasant. Images of the cult scene in Eyes Wide Shut or the moment in Pulp Fiction where Marsellus Wallace (Ving Rhames’ character) gets…umm…introduced to Zed and Maynard may spring to mind. The full lyrics are posted in the SoundCloud audio. We look forward to hearing more from these guys as soon as possible. 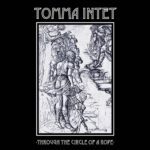 First, let’s provide a bit of background on Tomma Intet. They’re not exactly a band. Rather, they’re a collective of musicians from Gothenburg who get together and just rock out. One day the group could be four members and another day eight. 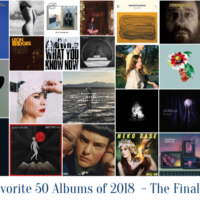 The collective was established in the winter of 2016, and, according to them, their music is “based on the idea of enlightenment and transcendence.” In other words, they’re the Swedish version of Broken Social Scene at least conceptually, because their music is much more anthemic. Case in point, “Through The Circle Of A Rope”, which was released a month ago (they have a more recent song that we’ll share soon). Buckle your seat belts, grab hold of the arm rest, take a deep breath, and prepare to be taken on an exhilarating ride. “Through The Circle Of A Rope” is an explosive, indie-rock banger, which extends from the driving guitars to the outstanding, bone-jarring percussion, and the hammerhead bass line. The vocals, meanwhile, are urgent and wail with the intensity of a person trying to escape the “garden that grows beneath the floor”. Where have Tomma Intet taken us? We have no idea, but the experience is one we surely will not forget. Look out world: Sweden has another group deserving of our undivided attention. Bands from Barcelona (where warm weather extends well into October) can be forgiven for creating music that feels like summer. Actually, we always need bands who make us think of warm, sunny places and where we can lose ourselves on the sandy beaches. Thank goodness there is The Zephyr Bones. They could be considered the Spanish version of Beach Fossils, Day Wave, Craft Spells, or Fazerdaze. 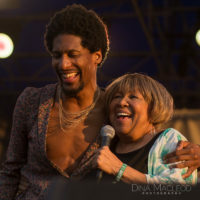 Their previous single, “Juglar Child on the Carousel”, was a jangly, breezy number that would be perfect for skipping down the boardwalk. However, the newest tune from these surf-rock guitar-pop juggernauts, “Secret Place”, is meant for losing yourself. The uptempo guitar work, the groovy rhythms, and the hazy vocals will have you jumping on the dance floor, running wild on the beach, or heading outside with your arms spread wide to take in the beautiful sunshine (or rain, depending where you are). There’s no better song for the weekend than “Secret Place”, and may you find yours today or tomorrow. Happy weekend everyone! 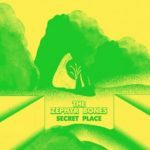 “Secret Place” is the title track from The Zephyr Bones’ debut album which is due November 10th on La Castanya. The band is comprised of Brian (guitar/vocals), Jossip (guitar/vocals/synth), Carlitos (bass), and Marc (drums).